There were 25 attacks on Ukrainian positions on April 2nd, militants used banned weapons 7 times. Oleksandr Motuzyanyk, PA spokesperson on ATO related issues says that there were no casualties among Ukrainian servicemen in the last 24 hours. 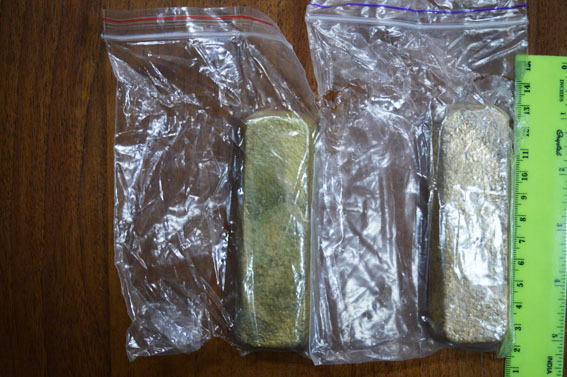 A man who was trying to take two bars of gold without any accompanying documents out of occupied Donetsk was detained at Krasnoarmiysk checkpoint. The bars were confiscated and taken to an expertise. 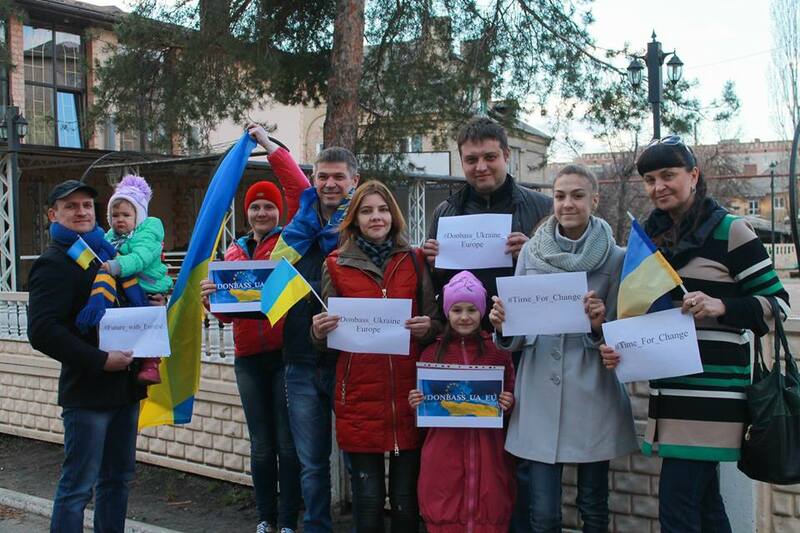 A rally in support of Ukraine-EU Assiciation took place in Kramatorsk (the Donetsk region). The city residents asked the Dutch to support the Assicoation Agreement on the referendum which is to take place in the Netherlands on April 6th. A similar rally took place in Slovyansk and Liman. 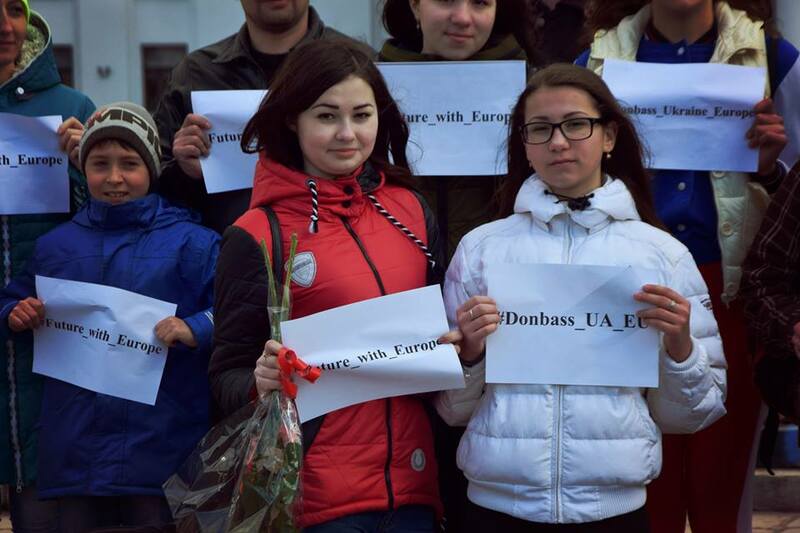 Such flash mobs are to take place in 11 towns of the Donetsk region. A “Gazel” car hit an unidentified mine in the occupied settlement of Donetsky (the Luhansk region). A man and a woman died in the explosion. People who live in the vicinity of the mine named after Lenin in occupied Horlivka (the Donetsk region) are pounding the alarm as the concentration of methane in the basement of houses and blocks of flats in increasing. This means that the tunnels which are under the city are full of water. A volunteer informs that the occupational “administration” refused to solve the problem and switched boiler stations off. The illegal “DPR” organization is going to open a publishing house for printing propaganda newspapers. For this purpose, the faction is looking for an editor (a director) for the future enterprise. Before starting the work, the candidate is to do a training course in the so-called “DPR ministry of information”. The illegal “DPR” faction claims that a burial site with remnants of up to ten Ukrainian servicemen was found in the vicinity of Debaltseve. The militants of the so-called “people’s militia” conducted exhumation on April 3rd, but so far they have discovered the body of only one Ukrainian serviceman. 675 Russian militaries perished in hostilities in the Donbas by March 31st, 2016. 240 militaries who have perished in the Donbas since the beginning of the conflict have not been identified yet. 12 journalists have also perished and 840 people who fought on the side of “LPR” and “DPR” illegal armed formations are missing.